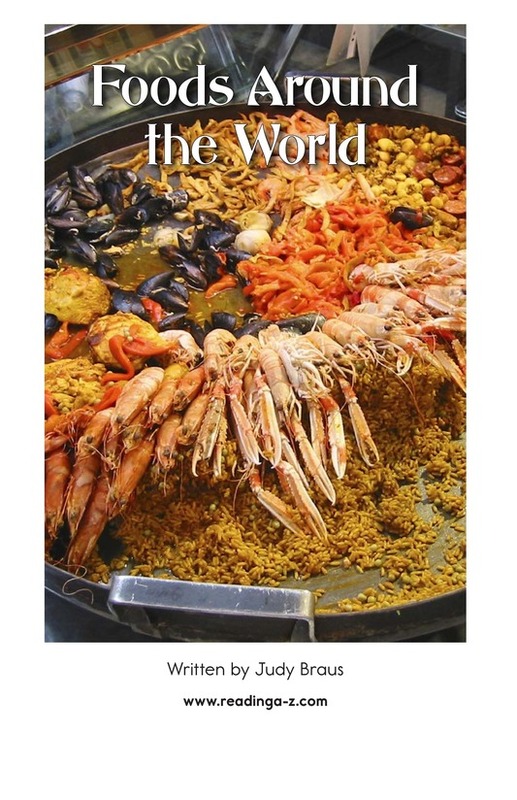 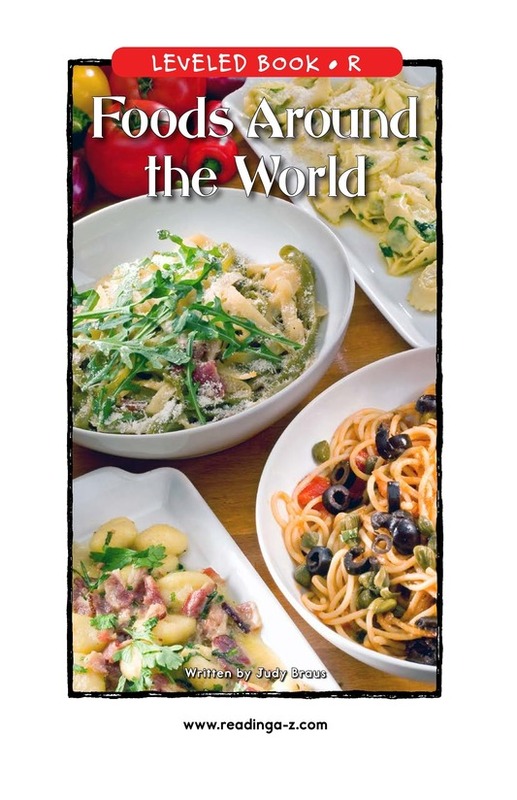 Foods Around the World is about the fascinating variety of foods enjoyed by cultures around the globe. 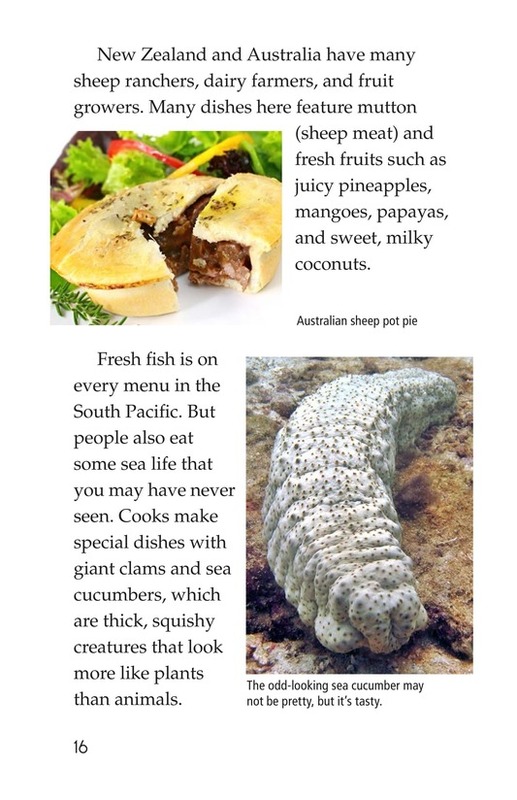 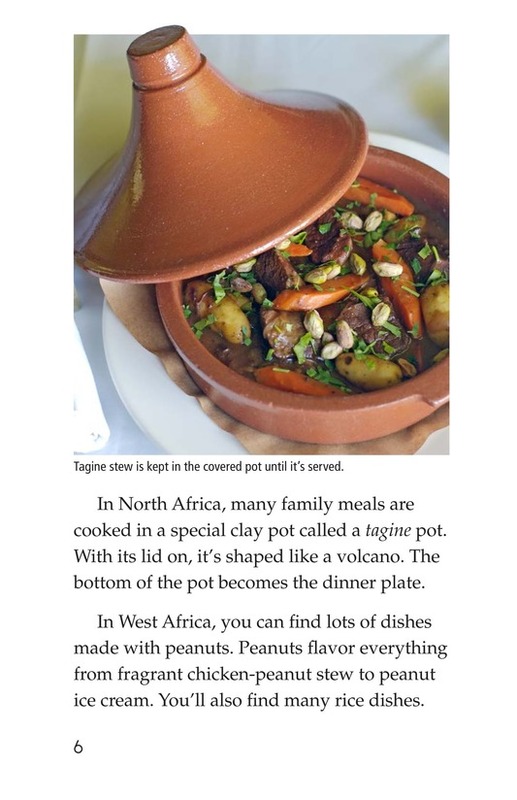 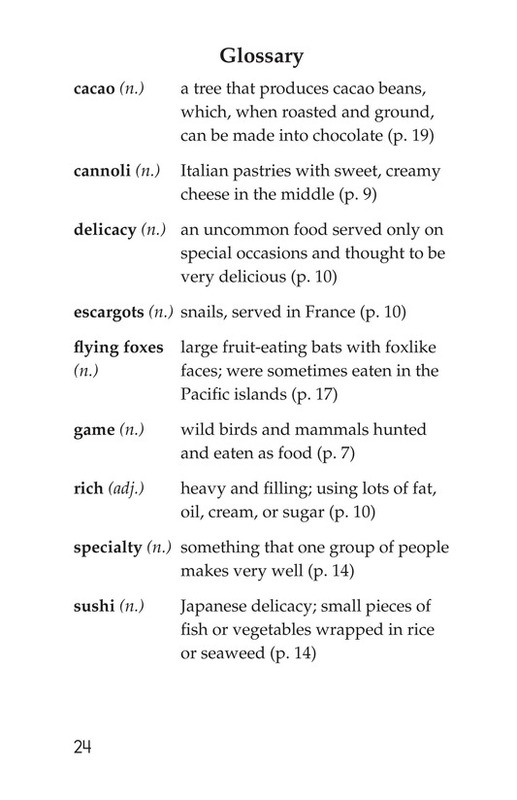 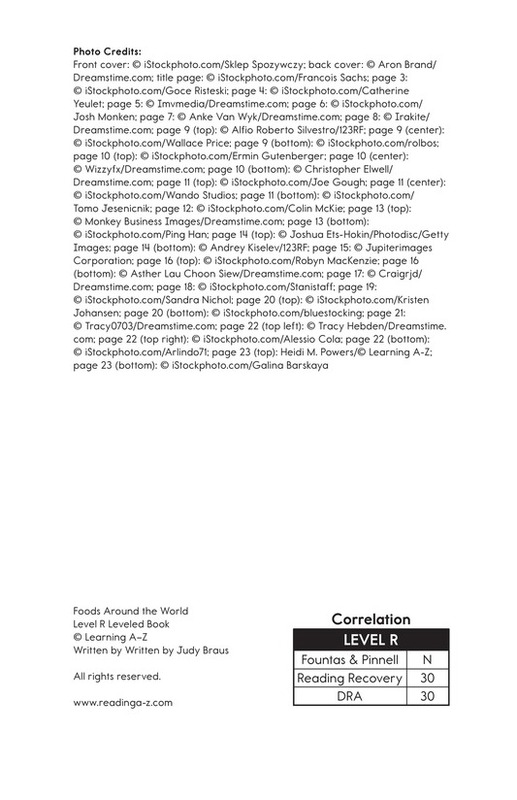 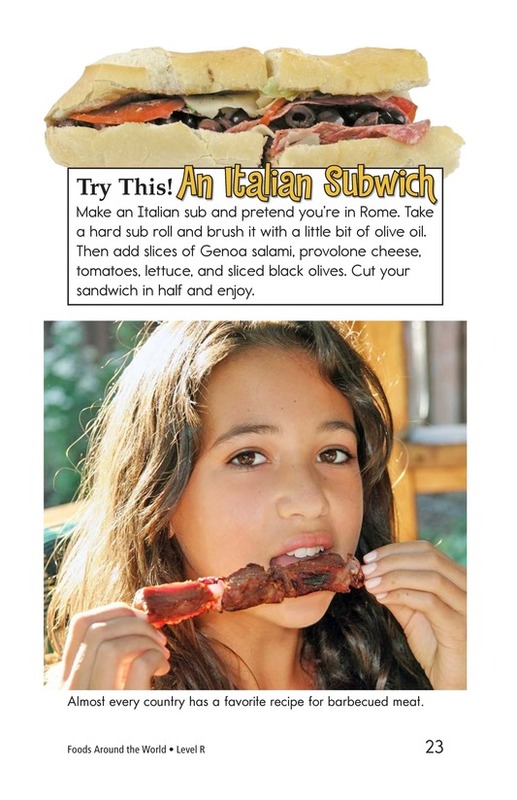 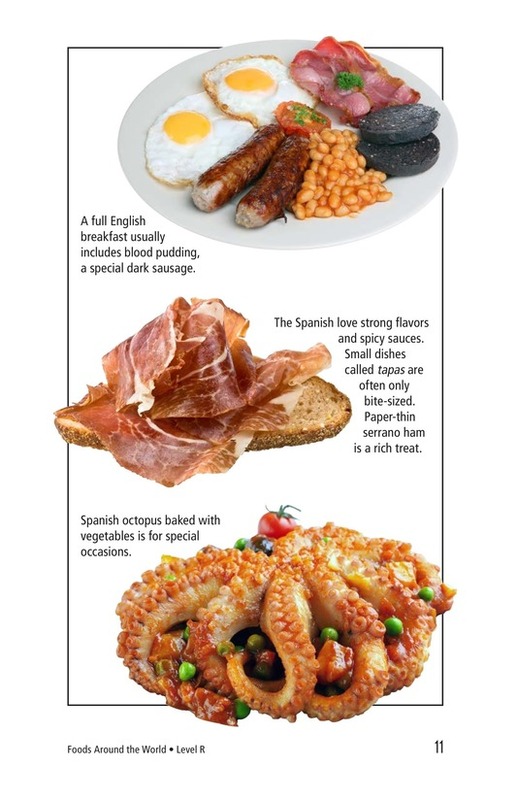 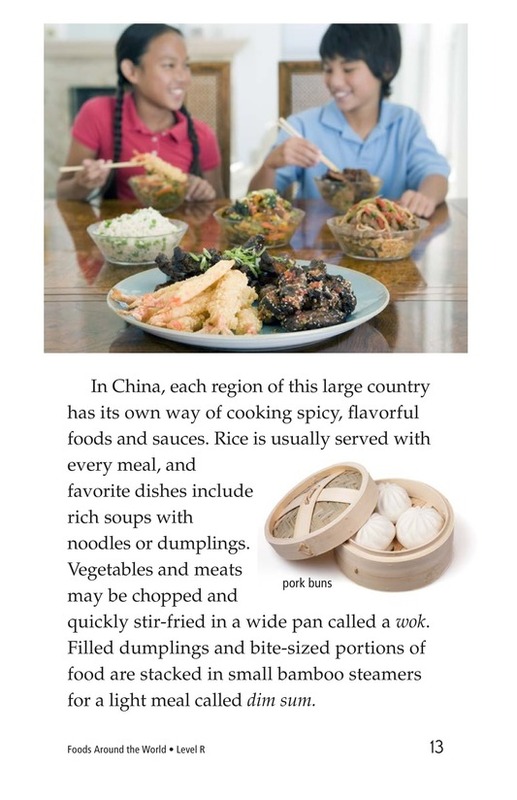 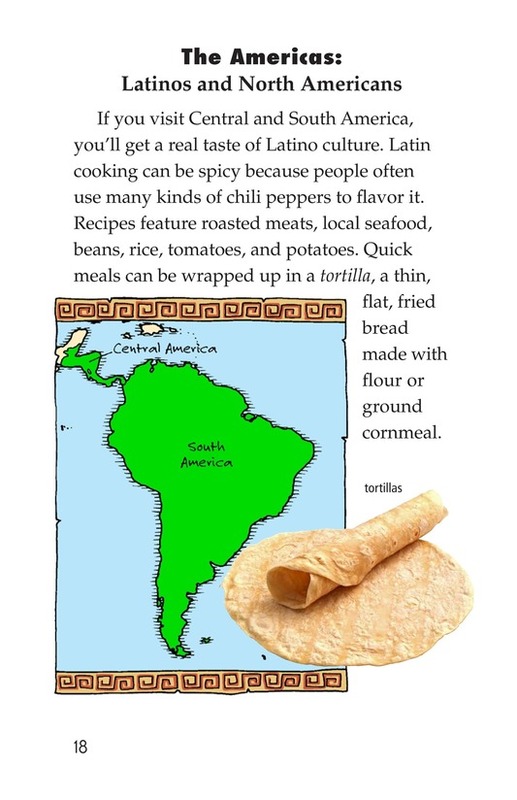 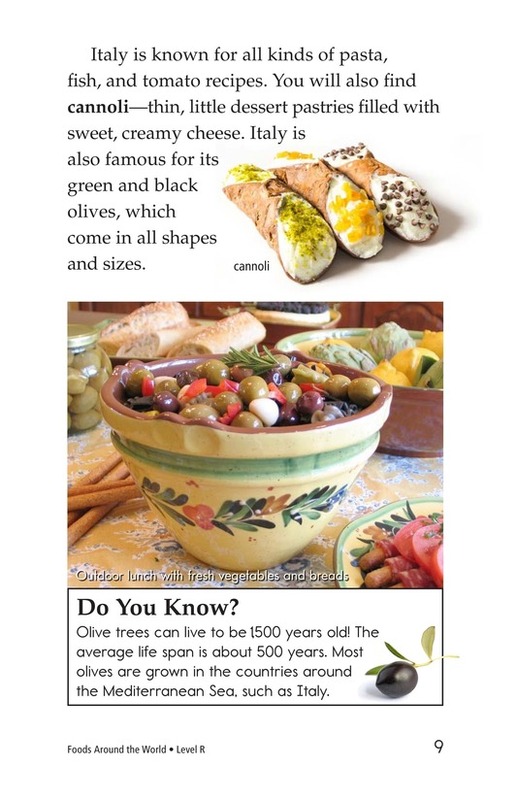 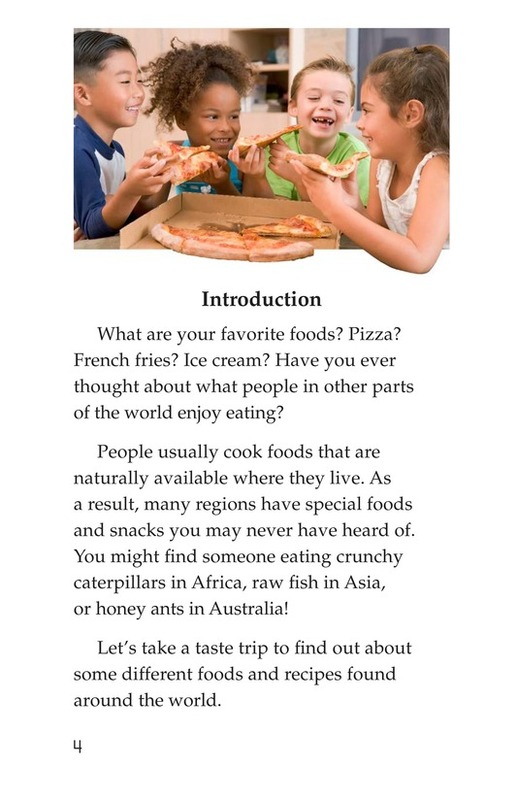 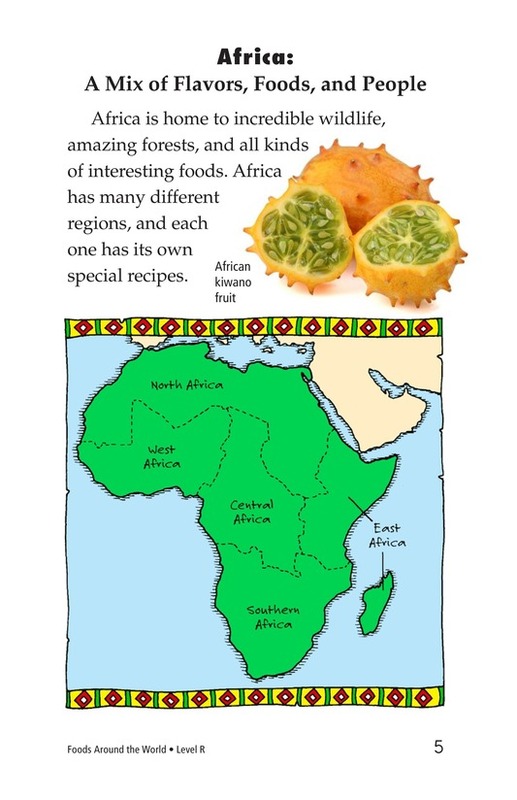 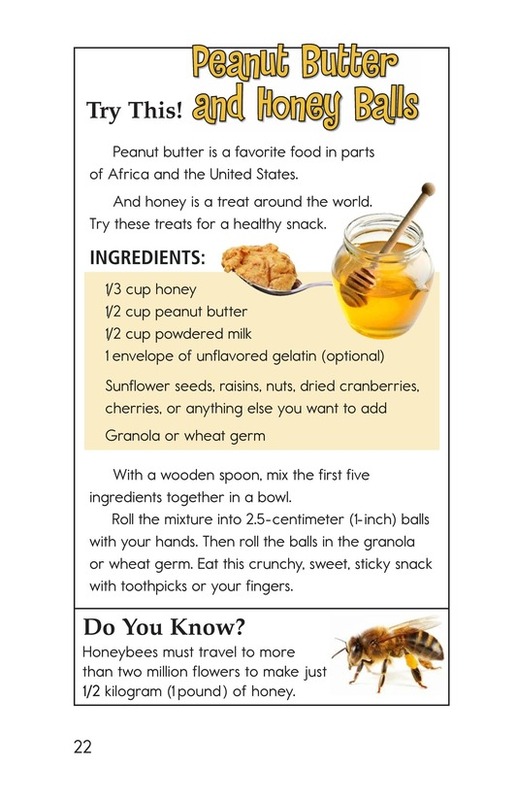 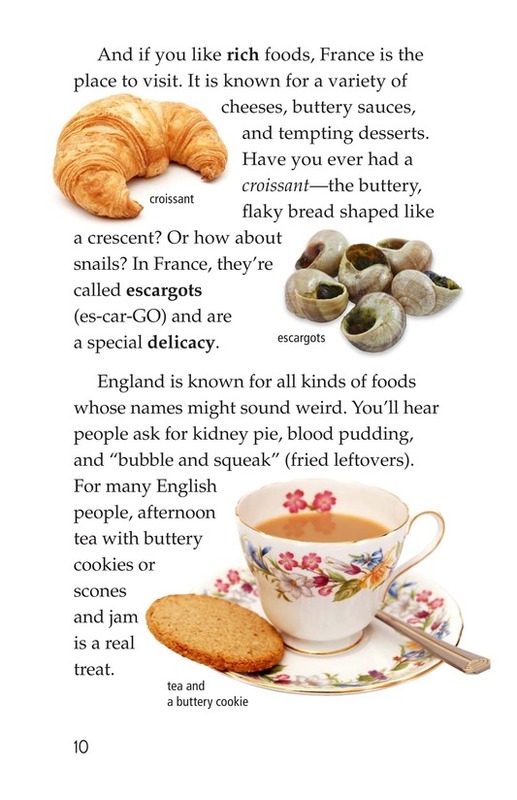 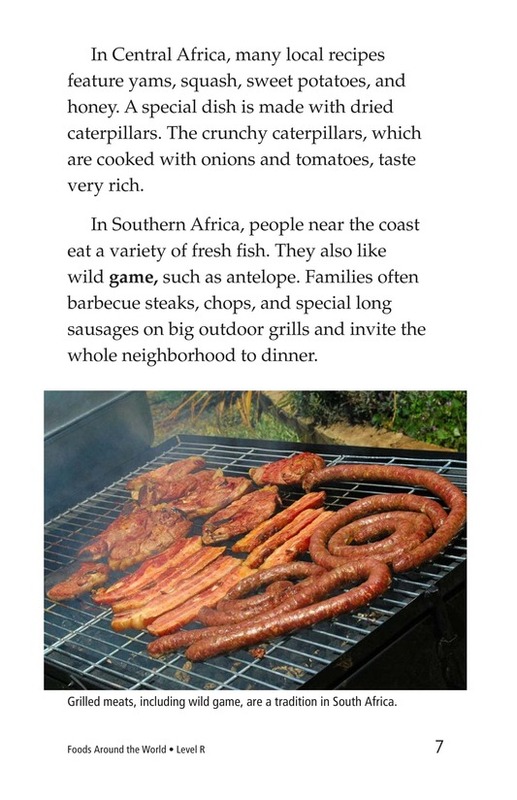 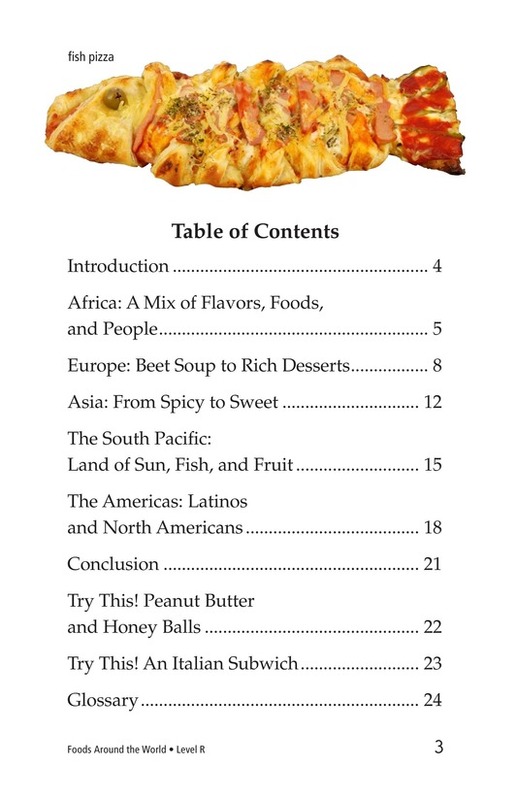 The book introduces an array of ethnic foods and provides examples of fun recipes for students to try. 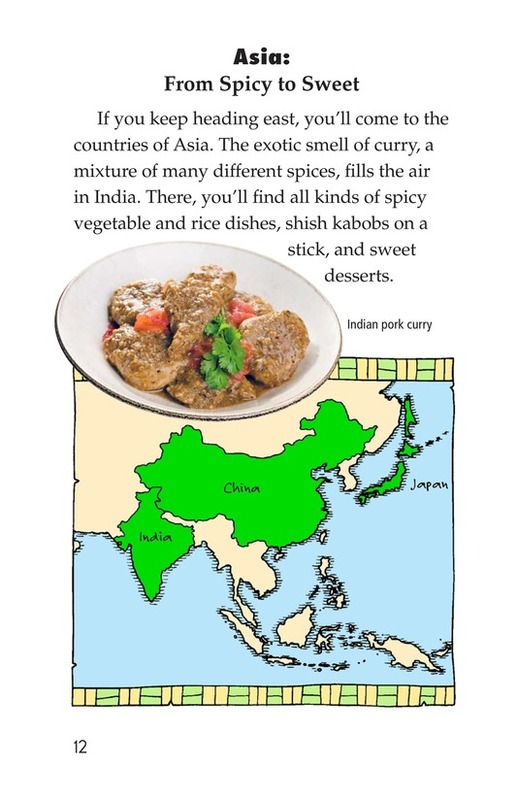 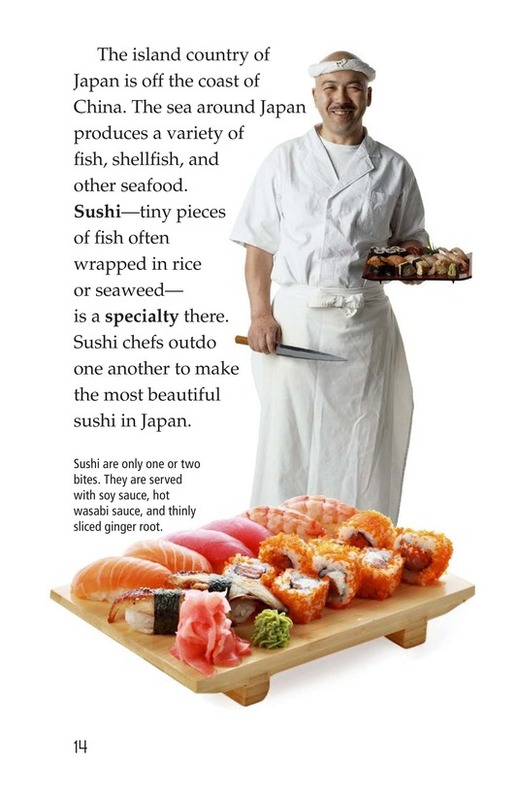 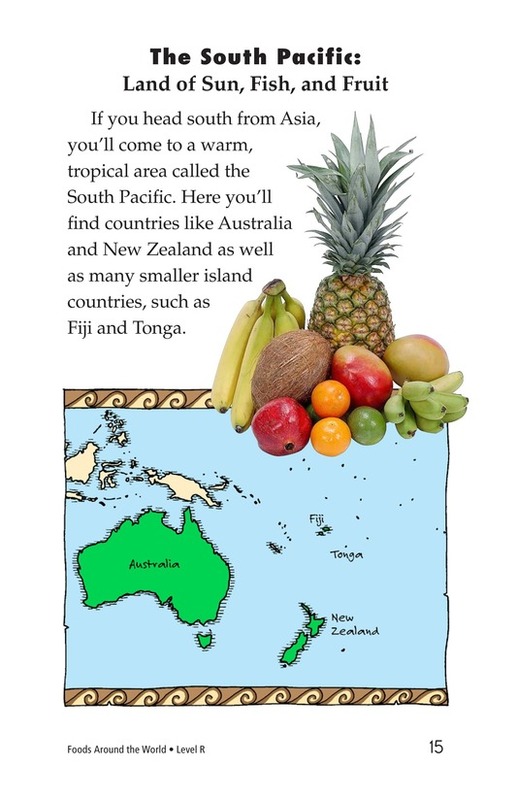 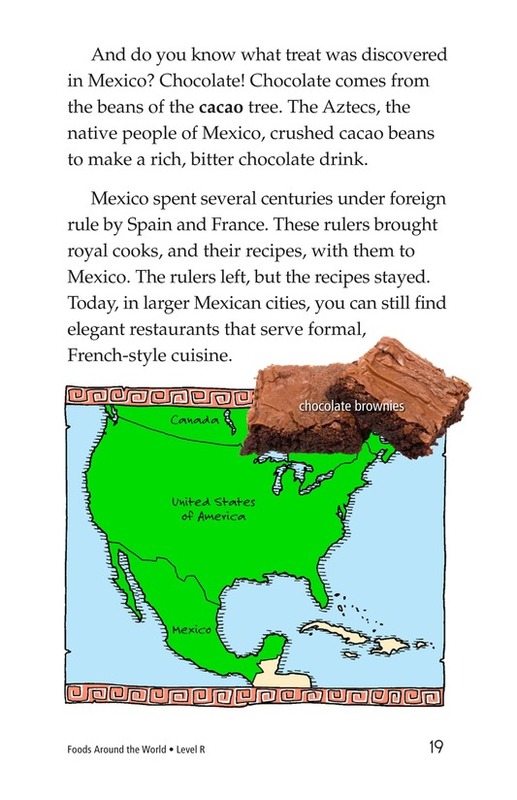 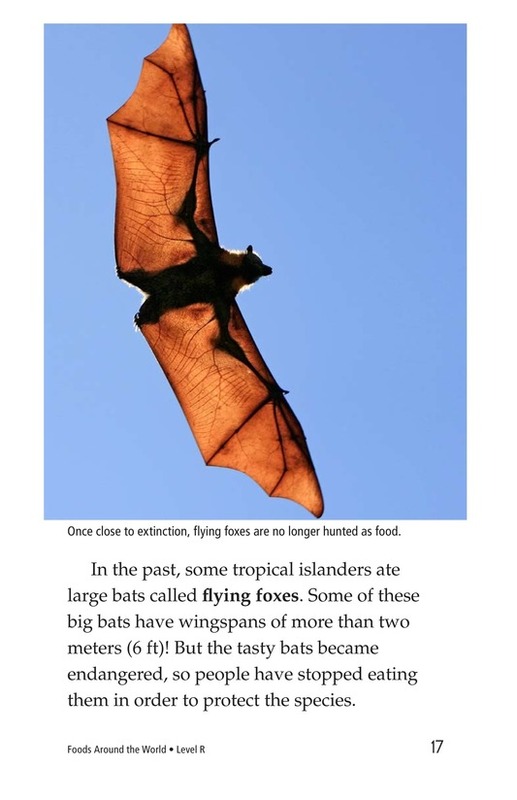 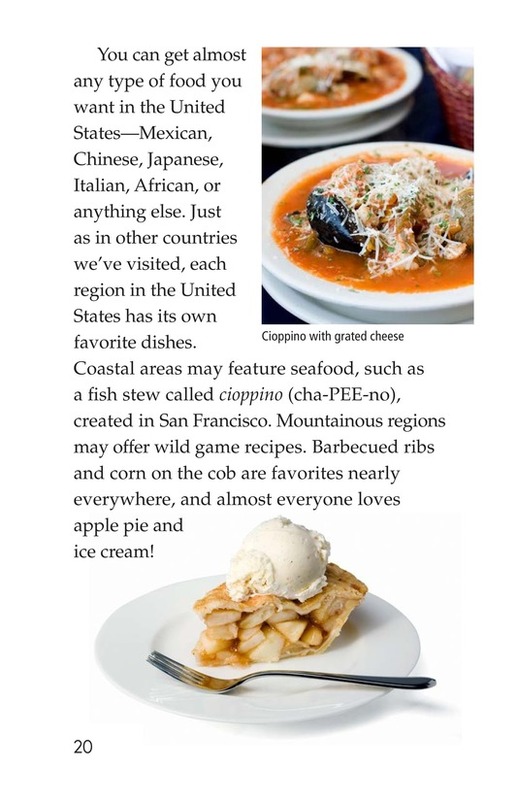 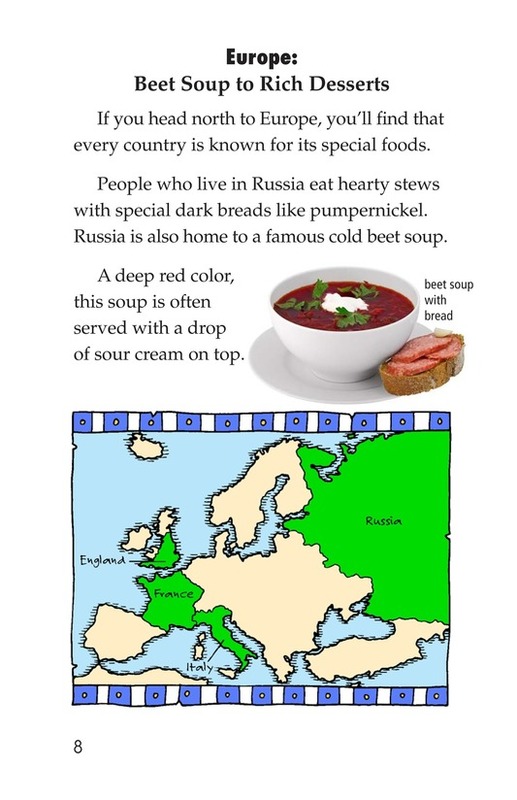 Maps and pictures support the text as readers travel on a culinary trip around the world in search of the delicious (to some) and the disgusting (to others).